Nolan North recently mused on his work as a voice actor and his role as the hero of Naughty Dog's Uncharted games. Arguably one of the most iconic new franchises to come out of Sony's stable in this past generation are the Uncharted games. Originating in the early days of the PS3, Uncharted: Drake's Fortune introduced gamers to the Indiana Jones-esque adventures of Nathan Drake and his band of compatriots. As time went on the series would become a benchmark for quality on Sony's console. If you wanted to find the best the system had to offer, you needed to look no further than Naughty Dog's series' of treasure hunting escapades. The arguable core of the game was the character of Nathan Drake. 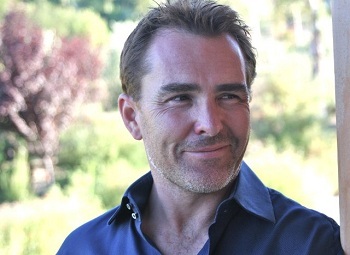 Stalwart and dedicated but ever laughing in the face of danger, his character, played by actor Nolan North, was as much a draw as the series' acclaimed visuals or set pieces. Speaking recently about his work in videogames, North revealed some of the method behind his portrayal of Nathan Drake. "There is an amazing distinction when you realise that nobody else can play something the way you are, and you would be," said North. "That character is me. That's how in real-life - if Nolan North were this guy who's a treasure hunter with all these circumstances in my life - these things would naturally come out because I'm putting myself in that situation." Despite his acclaimed work as the Uncharted protagonist, North says he has since tried to avoid taking similar roles to keep from being typecasted. "People didn't know that Uncharted would be this juggernaut that it became. Since the success of that, I've done less and less characters like that. So I don't really worry about being typcast, because I know I can do other voices." This has led him, in turn, to seek out less heroic roles. "It's always more fun to play the bad guy. I want to be in games where people go, 'that was really cool' and then they see the credits and go "oh my god! that was Nolan!' That's what makes me happy. I like when people don't recognize it".